Ramayana has been a great inspiration with a great significance for Hindu dharma. The central character of the epic, Rama, is considered to be the seventh avatar of Lord Vishnu who is worshipped by millions of Hindus making him an important figure for ‘Vaishnavism’. Also, known as Maryada Purushottam, he has always been an inspiring character who was born as the eldest son of the family of King Dasharatha. He leads his life with great adventure, at the same time, not forgetting his ‘Dhrama’. 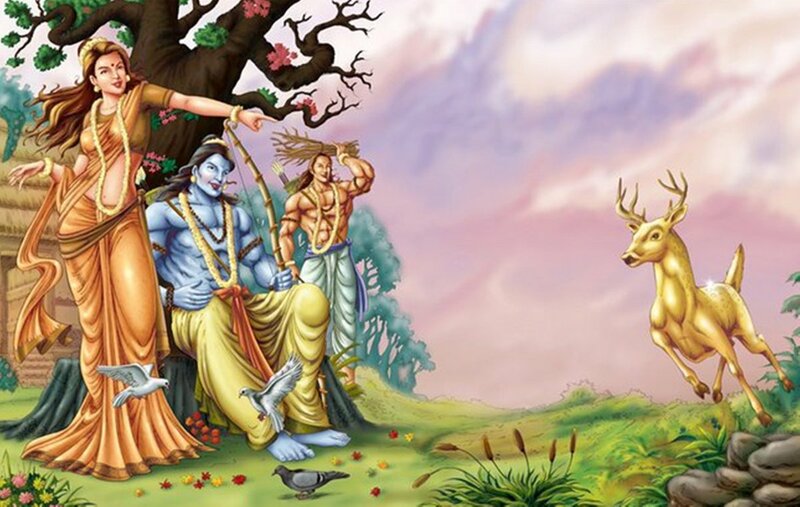 Ramayan is one of the most famous epic, especially, renown in the southern parts of Asia. People know about Rama, a lot more than just the protagonist of the epic. However, only a few know about the different ways, how he left this world. So, here are the mysteries behind Rama’s return to his abode, Vaikuntha. Ramayana is an epic which has many narratives, which are all true in their own cultural meaning. Every epic story believes that every Vishnu avatar is meant to return to Vaikuntha after completing their purpose of life. Similarly, this well-known version of Ramayana too presents the story of Rama’s return to Vaikuntha. Where, it says that Rama is meant to enter Sarayu River with his own will. 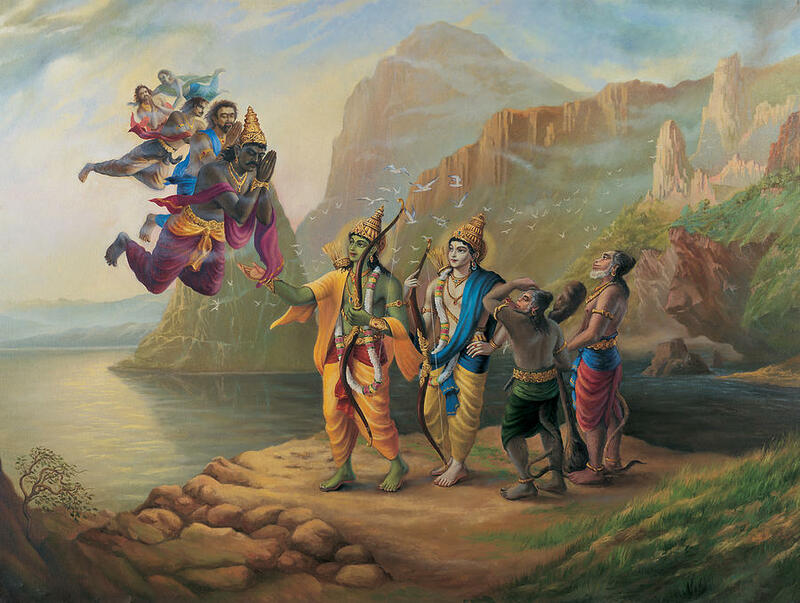 This story brings light to the belief how Rama just disappeared from the land. Rama was a mortal Vishnu avatar, thus, it was necessary for him to leave the world after his purpose was fulfilled. Hence, a sage arrived and told him that it is time for his return to Vaikuntha. Likewise, Rama was ready to leave the world and he was asking Yama to take him. However, Yama was not able to enter Ayodhya because of his fear of Hanuman. Hanuman was a powerful avatar of Lord Shiva who incarnated as the protector of Sri Rama. It was difficult for anyone to hurt Rama when Hanuman was there to fight for him. To distract him, Rama throws his ring in a crack on the ground and asked Hanuman to fetch it. After that, Hanuman took the size of an insect and entered the crack. Later, he realized that it was the way to Nag Lok. Where he met the King Vasuki entering the world of Serpents. As Hanuman asked Vasuki about the ring, he took Hanuman to the center of Nag Lok and made him stood in front of a mountain of rings. Hanuman started searching for Rama’s ring and found it at once. Later, he realized that every ring in the mountain belongs to Rama. Later, Hanuman asked Vasuki about the confusion of ring mountain. Vasuki explained him various facts about life and death. He told him about the Kalpa (aeon), the cycle of life which ultimately leads to death. Every aeon contains four yugas and in every Treta Yuga (or simply second quarter) a Rama will be born in Ayodhya. Also, one day a ring will fall in the world of serpents and a monkey will come to fetch it. Once this will happen, the Rama will die on Earth. The mountain of rings was the explanation to the fact that there were thousands of Ramas that have taken birth and died in Treta Yuga and this will happen in future as well. 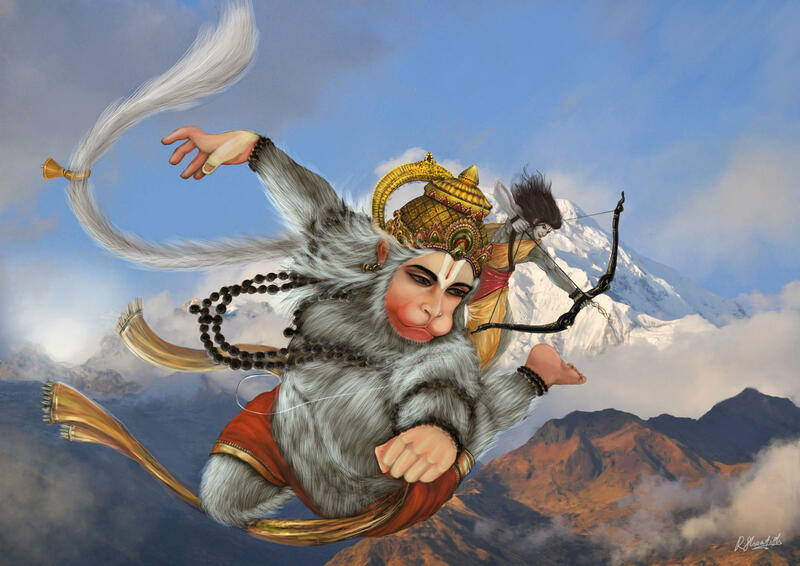 As Hanuman realizes that there is no coincidence or accident that he landed in Nag Lok while searching for Rama’s ring, there was a reason for whatever happened in the epic. Not only the characters but even the narrative turns out to be something inspiring for the world. There is always someone to teach the world a good lesson.